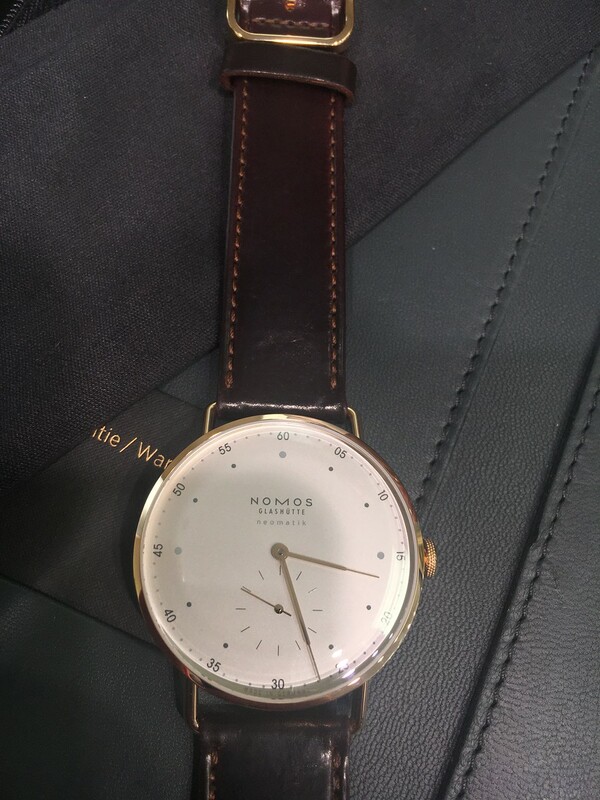 The Nomos "METRO ROSÉGOLD NEOMATIK 39". 18kt Rose Gold with sapphire front and back crystals. Automatic Nomos DUW 3001 movement. The watch is 38.5 mm in diameter and 8.35 mm in height. It comes on a brown shell cordovan strap. Probably most impressively, it retails for $9700! 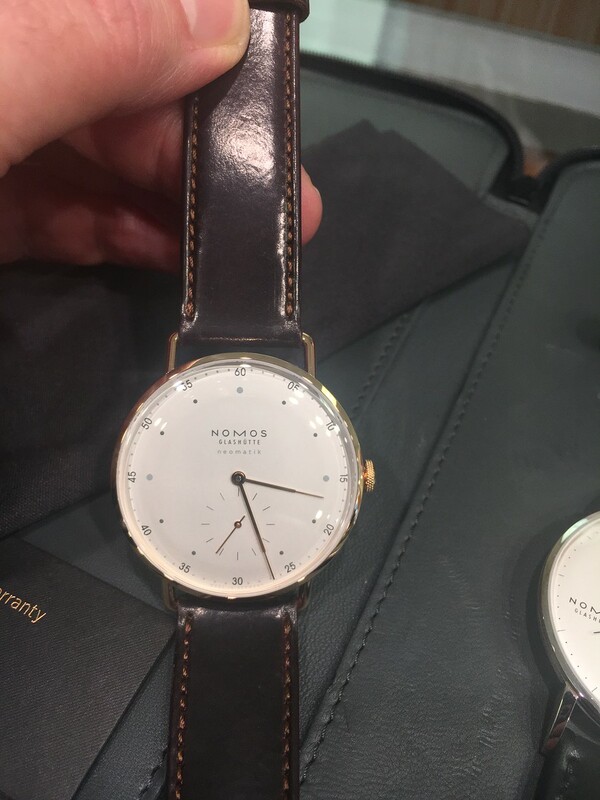 I admit the Nomos look can be too "simple" for some, but they are generally very well made watches at very reasonable prices. A rose gold watch with in house movement for under $10K really requires a second or third look!